Health professions workforce shortages are exacerbated in rural areas, where communities struggle to attract and keep well-trained clinicians. In the world of physician recruiting, hospitals in rural areas continue to face unique and difficult obstacles. Doctors who follow this particular path often cite issues such as isolation from colleagues, fewer educational opportunities, and heavier caseloads. A review of small-town practices in Arizona supports this point, revealing a doctor to patient ratio of 70 to 100,000 versus 250 to 100,000 in larger areas. This environment not only makes it difficult to maintain physicians, but it also makes attracting them in the first place quite a feat. Hence, recruitment and retention of rural health care professionals continues to be a national challenge. There are some sobering numbers that accompany rural facilities and the physicians who do or more often do not, accompany them. It has been reported that as many as 77% of all our nation’s rural counties are experiencing shortages of primary care physicians. Additionally, the number of general surgeons in these areas decreased by as much as 21% between the years of 1981 and 2005, and the epidemic will only get worse. Currently, 52% of surgeons are approaching retirement age. With a lack of eager young doctors to fill their shoes in Small Town, America, both patients and hospitals can expect to feel the hit. Rural Health Care Initiative – Several state and federal programs have been implemented within rural hospitals across the nation to attract qualified physicians with good success. Three long-standing programs include Area Health Education Centers (AHECs), Federally Qualified Health Centers (FQHCs), National Health Service Corps (NHSC) and the State Loan Repayment Program (SLRP). AHECs serve as community liaisons with academic institutions and help arrange ambulatory clinical training opportunities for health professions students, emphasizing participation in interprofessional training. Health Centers are community-based and patient-directed organizations that provide comprehensive, culturally competent, quality primary care to populations with limited access to health care, many of which are in rural locations. The NHSC provides scholarship and loan-repayment programs for both allopathic and osteopathic physicians and for other primary care providers practicing in underserved rural and urban areas. The SLRP is modeled after the NHSC loan repayment program. Physicians must commit to practice in a public or nonprofit entity for at least 2 years and each participating state must match the funds received from the SLRP. Incentivize – While there may be some benefits lacking from practicing in smaller communities, certain incentives can allow the positives to quickly outweigh any negatives. Still, other programs such as physician shares, which allow for joint contracts between hospitals, can be a means by which to address both coverage problems and feelings of isolation. Additionally, opportunities to take on administrative duties in rural facilities and earn additional titles are greater and can provide a big boost in future career ambitions. Furthermore, Physicians who choose to practice in rural communities are often recognized as the “town hero.” Members of smaller towns recognize that local physicians have selected their community as their place to practice and can develop a greater allegiance and admiration for their doctor than that of a city doctor who sees hundreds of patients daily. Emphasize the Positive –With any candidate, it is important to highlight the strengths of the community and the position. Lower cost of living in these areas often makes compensation packages more appealing. Still, proximity to larger cities, as well as aspects of the town’s own local culture may have been overlooked and can often make the position more attractive once highlighted. Other Factors that keep physicians in rural areas are the abundant recreational/leisure activities at hand, a good place to raise children, an opportunity for professional independence, access to personable patient care, an expanded learning experience, and opportunity, and the overall earnings potential. Involve Current Physicians – Undergraduate rural medical education and postgraduate rural training were independently associated with practicing in a rural location. Some students from urban areas may develop, through their life and learning experiences, an interest in rural medicine that leads them to rural practice. Involving skilled rural physicians in medical education is vital, and increasing the number of these physicians can increase the number of graduating physicians interested in rural practice through role modeling, positively influencing university teacher’s attitudes toward rural practice and physicians, and increasing the capacity of rural medical education for students and residents. 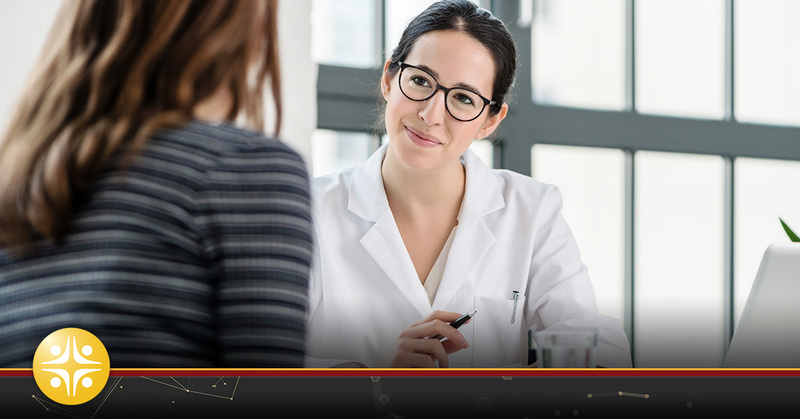 Understanding the impact that a new physician has on the success of the practice and their work environment, you may find that current physicians within the facility are also willing to help in the recruiting process. This will illustrate a strong collaborative environment, which most doctors seek, as well as emphasize the many positives through the eyes of someone who has already gone down this same path. The national shortage of surgeons and primary care physicians within rural communities is a growing concern. With 19.2% of the American population living in rural communities and only 11.4% of physicians practicing there, the need to attract and retain good doctors has become critical. Knowing which candidates to pursue and how to make both the offer and locale appealing is a masterful skill that any healthcare recruiter should possess. Following the tips outlined above can be just what is needed to gain an edge in a difficult recruiting process.